We know you love shopping in Downtown Hartsville, and we want to make it even better. 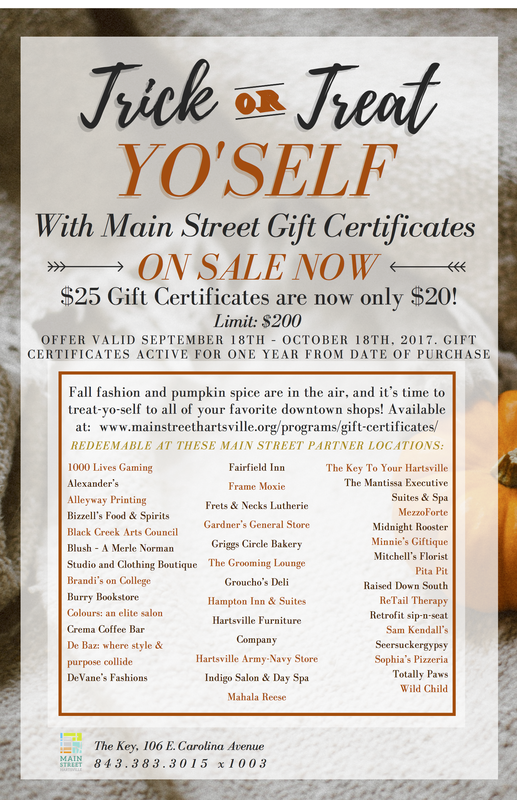 For a limited time, you can #TreatYoSelf to a discounted Main Street Hartsville Gift Certificate—get a $25 value certificate for only $20! Order and pay online; it’s that simple and you deserve it! 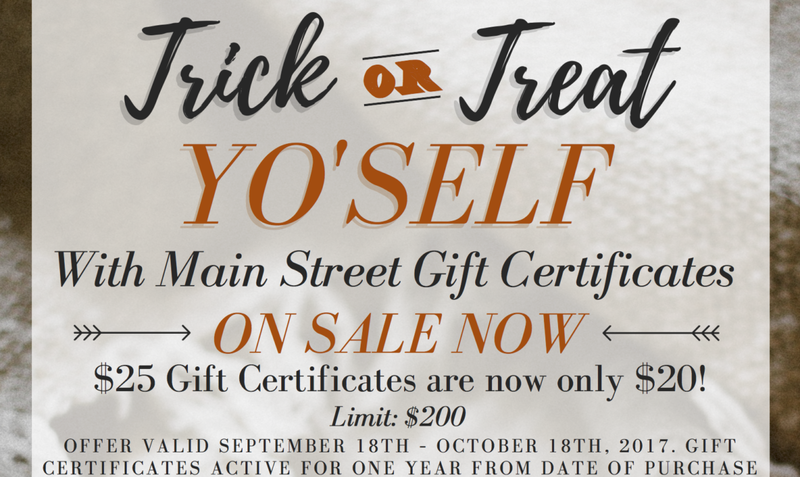 Trick or Treat Yo’ Self to a discounted Main Street Hartsville gift certificate! The promotion is available Sep 18th – Oct 18th. Limit 10 per person. Gift certificates are valid for a year from the date of purchase.